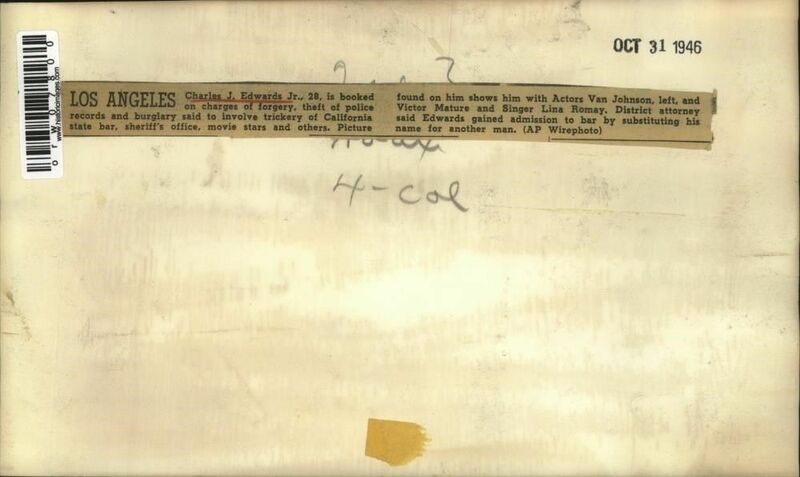 Here is an interesting photo with a very strange backstory (from E-bay)! It says: Charles J. Edwards is booked on charges of forgery, theft of police records and burglary said to involve trickery of California State Bar, sheriff's office, movie stars and others. 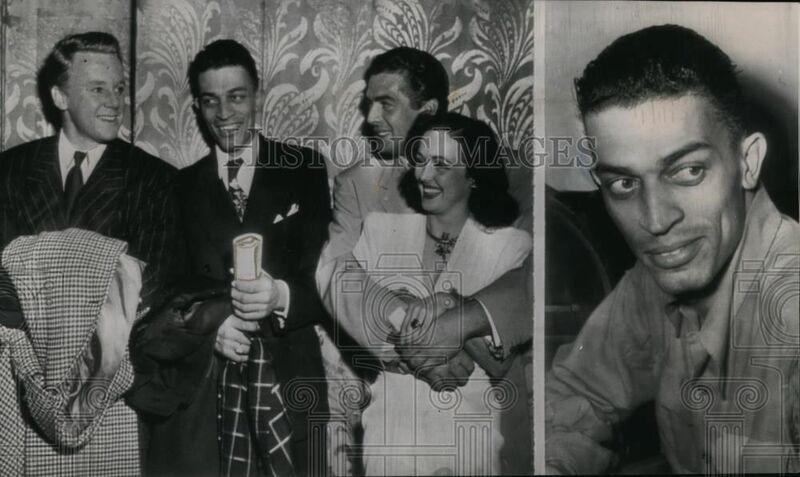 Picture found on him shows him with Actors Van Johnson, ... and Victor Mature and Singer Lina Romay. District Attorney said Edwards gained admission to the bar by substituting his name for another man. He had also worked with Bette Davis, Orson Welles and Bing Crosby. You can view old newspaper articles about his case here: https://news.google.com/newspapers?nid=2211&dat=19470315&id=fR0mAAAAIBAJ&sjid=y_0FAAAAIBAJ&pg=3497,2639724&hl=en I had posted a similar picture on the site years ago but it was just with Van Johnson, Victor and Lina Romay. There is more on his case here: https://news.google.com/newspapers?nid=2205&dat=19461105&id=8sMlAAAAIBAJ&sjid=4fQFAAAAIBAJ&pg=3206,5010566&hl=en Interesting! Never had heard of this before! He posed as a Deputy Sheriff, FBI Agent, Police Captain, Lawyer and Government Cameraman.